THE SUPER COUPLE 13569 "MIDAS"and 13595 "BLUE DUCHESS"
They have bred 2 club champions and winners 150 to 500 miles and also futurity winners. 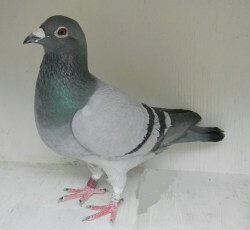 Their daughter bred the 2010 3rd place IF Hall of Fame bird in New Jersey combine. 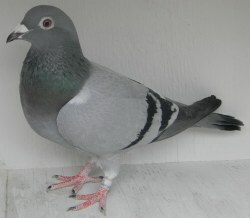 A grandson of the super couple bred the 1st place winner of the 2012 Texas Center Convention 100 dollar loft. Her number was 2204 and she was a single out front. 2204's dam is a granddaughter of the Red Barron and she placed 2nd (equal 1st) in the 2011 Flamingo 350 mile race. 2204 was 3rd generation from the Super Couple (Midas and Blue Duchess) and 4th generation from 5625 (Running Bear). 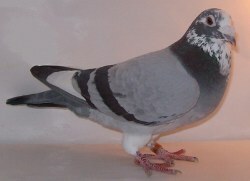 THE SUPER COUPLE IS 13569 "MIDAS"and 13595 "BLUE DUCHESS"
WITH OTHER MATES THEY HAVE EACH BRED A CLUB CHAMPION, BLUE DUCHESS BRED THE 2011 YOUNG BIRD CLUB CHAMPION AND MIDAS BRED THE 2014 OLD BIRD CLUB CHAMPION. 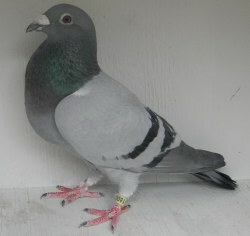 THEY HAVE ALSO BRED CLUB AND COMBINE RACE AND DIPLOMAS WINNERS 150 TO 500 MILES. BUT BRED TOGETHER FORMING (THE SUPER COUPLE) THEY HAVE BRED CLUB, COMBINE AND FUTURITY WINNERS WHICH ARE ALSO OUTSTANDING BREEDERS. IN 2009 WHEN MATED TO BLUE DUCHESS (THE DAM SIDE OF THE SUPER COUPLE) THEY PRODUCED 1399 WHICH BRED THE 2010 3RD PLACE IF HALL OF FAME OLD BIRD IN NEW JERSEY COMBINE. 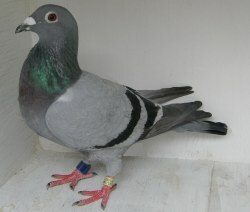 1399 ALSO PRODUCED 1727 (MY BEST YOUNG BIRD IN 2010) WHICH PRODUCED 2242 EQUAL 1ST ON THE 2012 FLAMINGO 200 AND 250 MILE RACES. 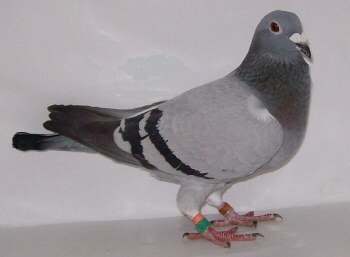 1399 ALSO PRODUCED 1800 (SIRE TO THE 2012 1ST PLACE 100 DOLLAR LOFT AT TEXAS CENTER CONVENTION).THE WINNER 2204 WAS A SINGLE (OUT FRONT) TO THE LOFT. I ALSO SENT 2201 AND 2202 (NEST MATES) FROM THE SUPER COUPLE TO THE 250 DOLLAR LOFT AND WON MONEY WITH BOTH OF THEM TAKING 8TH AND 9TH PLACE. THIS PAIR HAS 4 GENERATIONS OF WINNERS DOWN FROM THEM.